Deorkothar or Deur Kothar is of high religious importance for the Buddhist pilgrims. 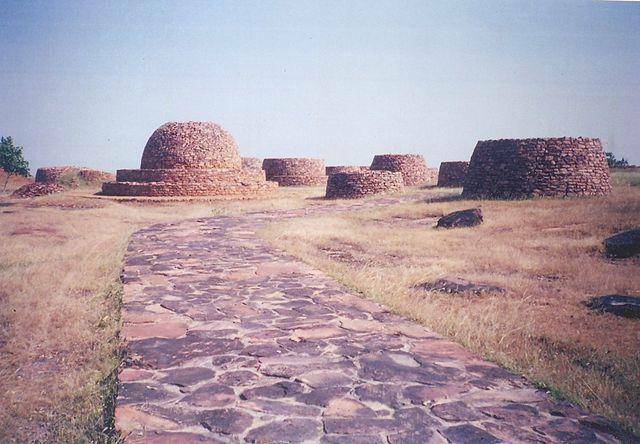 The place is famous for the stupas belonging to Buddhism, which had been discovered at the site in the year 1982. These stupas are accredited to Emperor Asoka of the Maurayan Dyanasty. If you are looking to go back in the sands of time then this is an ideal place to visit. The site has houses some Buddhist monasteries and over 30 stone stupas. The stupas have been magnificently made out of high quality black polished ware. You can also find some pillars in a shambled state; these had been recovered with a six-line inscription in Brahmi. A must visit destination for archaeological wonderers.